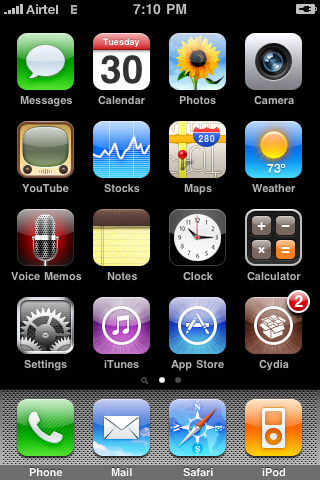 After the successful unlock of the iPhone 3G with 2.1 firmware months back, now after the release of 3.0 firmware from Apple, i unlocked the iPhone 3G with 3.0 firmware using 2 tools released by the iPhone Dev Team. They are redsn0w and ultrasn0w. I first tried to jailbreak the iPhone 3G with Pwnagetool but it did not take me correctly into the DFU mode, and gave problems but the redsn0w tool for mac was just awesome. Worked for me easily and jailbroke the phone in just a few minutes. Download redsn0w for Mac here. Download redsn0w for Windows here. Install redsn0w and open the application. Then you would be taken through many steps where the first is to download iphone 3.0 firmware(not through iTunes) from alternative links and locate the firmware file to start the jailbreak process. You then need to select which app, either Cydia or Icy to install for 3rd party apps in the iPhone. Better select Cydia as its easy to use and in the tutorial below i have included steps on how to install Ultrasn0w through Cydia. After this, the jailbreaking process is done with a few processes in the iPhone finish. Then you need to unlock the iPhone for all the networks, which can be done through the installed Cydia or Icy app. After the phone restarts, open the Cydia app and wait till it loads completely, should take a minute for everything to load. Open that package, and you would see the Ultrasn0w tool package with the details. Download and install it. After installing the Ultrasn0w, restart the iPhone. Then go to Settings > General > Reset > Reset Network Settings and the phone restarts. Then go to Airplane mode, switch it on and off once. Then go to the main screen and wait for a couple of minutes and the signals would appear with your network name on the right to it. This is the proof for the unlocked iPhone 3G with 3.0 firmware. The unlock process was done in the same way as shown in the screenshots, and was done with a Mac OS X 10.5.7 using iPhone 3G and firmware 3.0. Unlock the phone with your own risk and do post any questions in comments. I will soon post a tutorial on how to jailbreak the 3.0 firmware with Pwnagetool if it lets me do that perfectly. And i have not unlocked an iPhone till today using a Windows computer, so not sure if the same tricks apply or not. Thank You! I had it jail broken and just got my Tmobile card. The last step (reseting network settings) allowed me to get edge on my phone. hey i’ve been wanting to try jail break and i hate to say that i’m new at this. 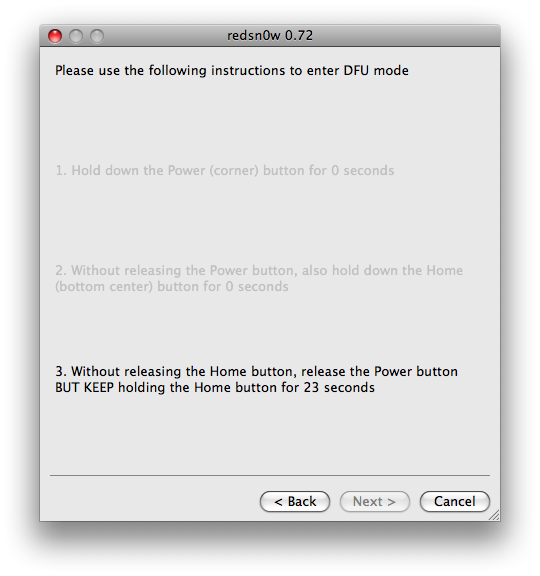 i’ve tried following all the directions and all and its fine just the only problem i have is when i get to the browsing part on redsn0w. 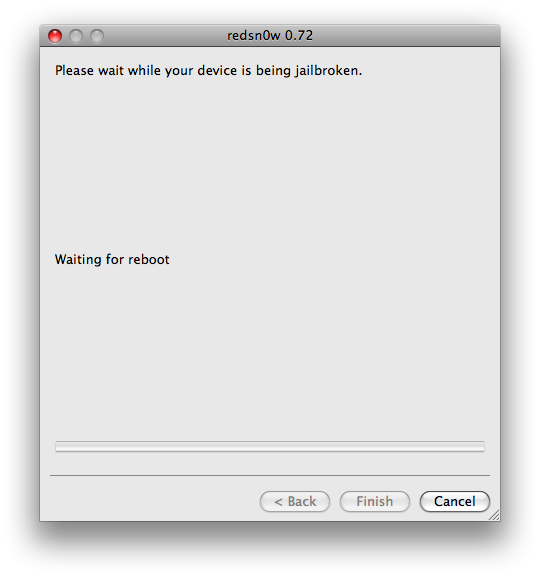 i downloaded the 3.0 firmware but i can’t seem to access it through the redsn0w browsing thing. i don’t know, what am i missing? 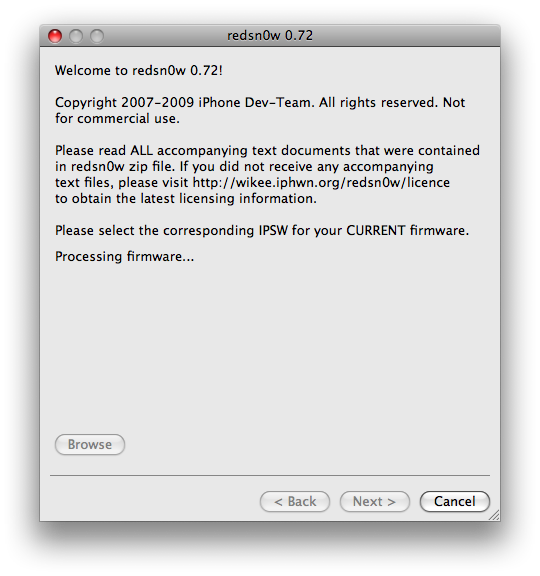 i extracted all the files for the firmware yet nothing shows on when i click browse on redsn0w. can anyone tell me what i am missing? PERFECT! awesome. this is great. thaaaaankyou! I serached for I-Phone unlocking details finally i got hre thanks for the Information nice..
i tried it bt it still won’t do anythin on my iphone…tried the ultrasn0w n folowed the instrustions to the letter bt nothin seems to b happening…any way i can unlock my phone to be able to call and recieve?….PLS HELP!!! How do I figure out which firmware I have? On my locked 3G I just see a figure of a usb cable pointing to iTunes. 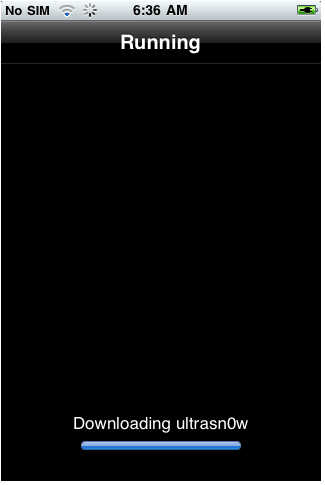 ok so i followed all the stept i got in jailbroken and its supossed to be unlock but when i reset all network settings i go to the main screen i wait for the network to come up and just says searching…nothing would happen what do i do now? omg soooooooo helpful. most in detail ever. pics help alot too. worked perfect first time!!! Thanks for the tips, I will try this.